Good news for Vancouverites who love dessert, BETA5’s ice cream sandwich pop-up officially opens this tomorrow, August 1. This event will run from August 1 to 6 from 10 am to 6 pm. You can head to the corner of Thurlow and Cordova and get in on this temporary sweet spot. 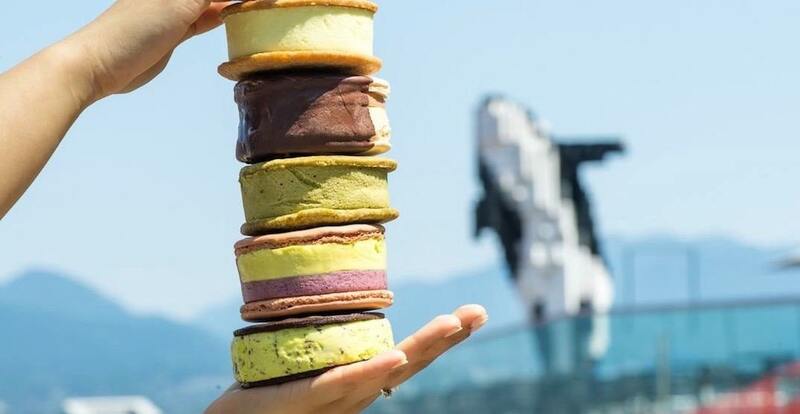 Chocolate dipped, multi-flavoured, or just plain ice cream sandwiched between two macaron cookies – get these treats from this celebrated purveyor in Coal Harbour while you can.